Everyday in our office, we see people suffering with hives. They want to find out what is causing the hives and how to get rid of them. Sometimes the cause is obvious (i.e. a peanut two minutes before the outbreak) but more often there is no answer. The hives are random with no consistent trigger. 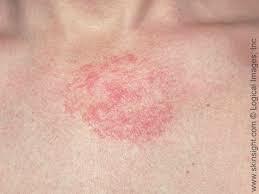 These people are often diagnosed with Chronic Idiopathic Urticaria (CIU). CIU is common. Over a lifetime, there is a 10-20% chance of one episode of hives. The prevalence of chronic hives (lasting 6 weeks or more) is 2%. CIU occurs most often between the ages of 20 and 40, affecting women more often than men. CIU is often associated with swelling (angioedema). Episodes of hives lasting for a short period may be due to allergy, for example, foods or medications. Very often we can make a definitive diagnosis. However, the cause for CHRONIC hives remains unknown. Chronic hives are due to poorly understood, non-allergic, immune abnormalities. The leading theory is that CIU is an autoimmune disease. This is when your immune system attacks healthy cells in your body. In this case your own allergy cells (mast cells and basophils) are the target. Evidence includes, a higher incidence of other autoimmune diseases (i.e. thyroid or Celiac disease) and positive allergy testing using a patient’s own (autologous) serum. Symptoms are often triggered by benign activities (ie showering), tight clothes, anxiety/stress, certain medications and possibly diet. Although we are able to get symptoms under control it often takes multiple medications. For those with difficult to treat hives, Xolair is often effective. However, there is no clear answer how long a patient will need to remain on therapy. CIU alone is rarely a sign of another underlying disease. CIU is rarely permanent but typically lasts from 1-5 years. CIU is not an allergic reaction and rarely puts the patient at any risk of anaphylaxis. CIU symptoms can be successfully managed. Chronic hives have a significant impact on quality of life. Patient-reported impact of chronic urticaria compared with psoriasis in theUnited States. Meryl H. Mendelson, Jonathan A. Bernstein, Susan Gabriel, Maria-Magdalena Balp, Haijun Tian, Jeffrey Vietri & Mark Lebwohl. Journal of Dermatological Treatment Vol. 28, Iss. 3, 2017. Conclusion: Patients with chronic urticaria had impaired mental/physical health and work/non-work activities, similar to moderate-to-severe psoriasis patients. This analysis reflects the significant burden of chronic hives. Blood tests cannot diagnose chronic hives yet but there is progress. Potential blood biomarkers in chronic spontaneous urticaria. 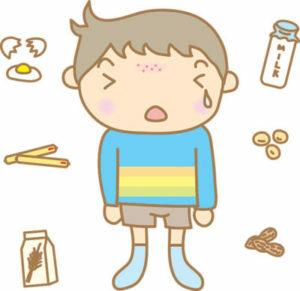 Clinical & Experimental Allergy. Volume 47, Issue 1. January 2017. Pages 19–36. Conclusion: We identified 10 biomarkers that are supported by strong evidence for distinguishing patients with chronic spontaneous hives from healthy controls, or for measuring chronic spontaneous hives activity. There is a need for further research to identify biomarkers that predict outcome or treatment response in chronic spontaneous urticaria. Testing may predict how fast Xolair works. Conclusion: A positive BHRA (basophil histamine release assay) and ASST (autologous serum skin test) is predictive of a slow response to omalizumab (Xolair). Testing may predict how fast hives recur after Xolair is stopped. Increased IgE levels are linked to faster relapse in patients with omalizumab-discontinued chronic spontaneous urticaria. Ertas, Ragip et al. Journal of Allergy and Clinical Immunology, Volume 140, Issue 6, 1749 – 1751. Conclusion: High IgE levels are linked to fast hives relapse after cessation of omalizumab (Xolair) treatment. More info how blood tests predict response to Xolair treatment. P154 Biomarkers which may predict response to omalizumab in chronic urticaria: serum IGE and CD203C. Straesser, M. et al. Annals of Allergy, Asthma & Immunology , Volume 119 , Issue 5, S39. 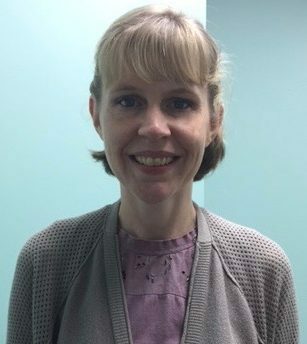 Conclusions: Patients with chronic urticaria, normal-to-high serum IgE, and negative anti-FcεRI antibodies may respond better to treatment with omalizumab (Xolair). Conversely, those with low serum IgE and positive anti-FcεRI antibodies may respond better to traditional immune-modulator therapy. Patients with chronic hives often get misdiagnosed with multiple drug allergies. Underlying Chronic Urticaria in Patients With Multiple Drug Allergies: A Call For Screening. Oriel, Roxanne C; Innamorato, Amanda; Kaplan, Blanka M. Journal of Allergy and Clinical Immunology, suppl. S; St. Louis Vol. 139, Iss. 2, (Feb 01, 2017): AB43. Patients with chronic hives should be screened for drug allergy AND vice-versa. Low vitamin D levels are often found in patients with chronic hives. The Relationship Between Chronic Urticaria and Serum Vitamin D Level. Perez, Cecilia; Dozo, Gloria; Ferrero, Paola; Orellana, Julio; Muino, Juan Carlos. Journal of Allergy and Clinical Immunology, suppl. S; St. Louis Vol. 139, Iss. 2, (Feb 01, 2017): AB247. Conclusion: Patients with chronic hives should be screened for low vitamin D levels. Another antibiotic shows promise in a subset of patients with chronic hives. Patients with chronic cold urticaria may benefit from doxycycline therapy. British Journal of Dermatology. Volume 176, Issue 1. January 2017. Pages 259–261. Conclusion: In our study, 34% of patients with cold urticaria benefited from the treatment with doxycycline, with half of them showing full remission. Adding montelukast to levocetirizine may be better for a subset of patients, compared to doubling the dose of levocetirizine. Effectiveness and safety of levocetirizine 10 mg versus a combination of levocetirizine 5 mg and montelukast 10 mg in chronic urticaria resistant to levocetirizine 5 mg: A double-blind, randomized, controlled trial. Conclusion: Fifty-two patients on levocetirizine 10 mg group and 51 patients on levocetirizine 5 mg + montelukast 10 mg group were analyzed. Urticaria Activity Scores and Total Symptom Scores were reduced significantly in both treatment groups and reduction of score were comparable in between the groups (P = 0.628, P = 0.824, respectively). Among adverse effects, sedation was noted significantly more (P = 0.013) in levocetirizine 10 mg group. Quality of life was significantly improved in levocetirizine 5 mg + montelukast 10 mg group (P = 0.031). Genetics may predict your risk for chronic hives AND your response to treatment. Association of ORAI1 gene polymorphisms with chronic spontaneous urticaria and the efficacy of the nonsedating H1 antihistamine desloratadine. Li, Jie et al. 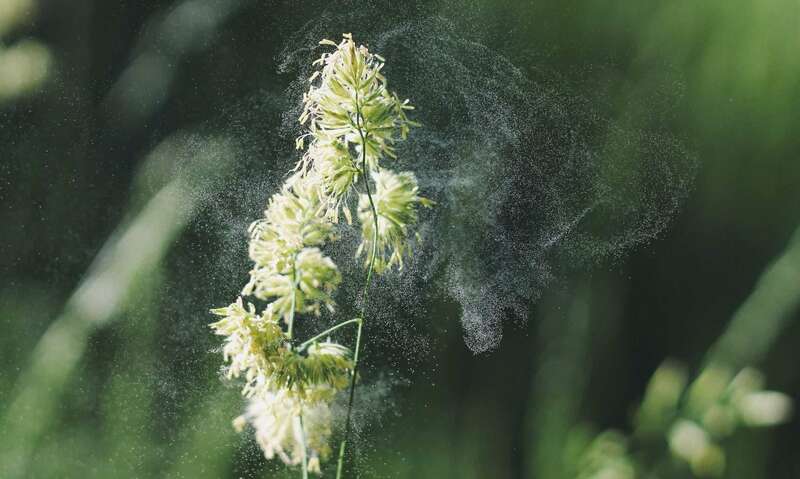 Journal of Allergy and Clinical Immunology, Volume 139, Issue 4, 1386 – 1388.e9. Conclusion: ORAI1 gene SNPs rs12320939 and rs3741596 are associated with the risk of chronic spontaneous hives by genetic association study and functional study providing biologic plausibility. In addition, this study indicates that rs3741595 is associated with responsiveness to the nonsedating H1 antihistamine desloratadine. Novel treatment options are needed. Looking forward to new targeted treatments for chronic spontaneous urticaria. Emek Kocatürk, Marcus Maurer, Martin Metz and Clive Grattan. Clinical and Translational Allergy20177:1. Conclusion: Chronic spontaneous urticaria (CSU) is a chronic disabling inflammatory skin disease, which is in many cases well-controlled by the existing licensed treatment options. In approximately 1 of 5 CSU patients, these treatment options are not sufficient. Novel drugs are needed and are under development. Ligelizumab, PGD2 receptor antagonists, a topical Syk inhibitor, and canakinumab are promising candidates for future CSU treatment options and are currently being tested in clinical trials for their efficacy and safety in CSU. Substance P antagonists, DARPins, blockers of C5a/C5aR, therapies targeting IL-4, IL-5 and IL-13, and drugs that target inhibitory mast cell receptors should be tested in controlled CSU trials. Many other mediators and receptors are held to be of pathogenic relevance, and this should be explored in skin profiling studies and functional proof of concept studies.